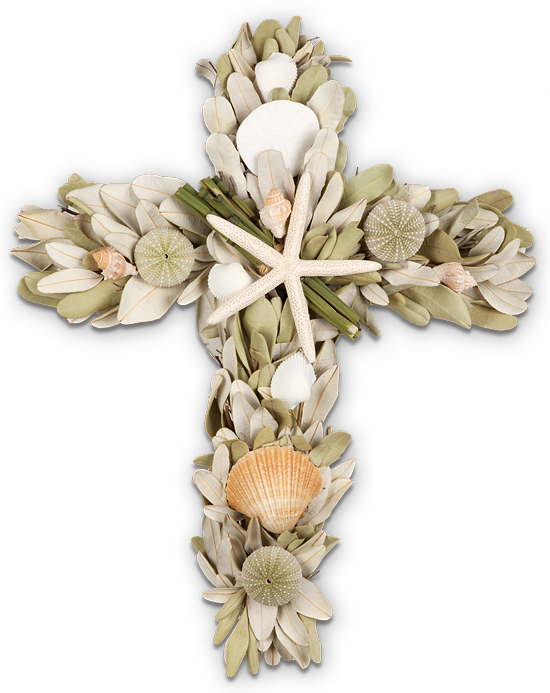 Symbolizing faith and hope, this naturally elegant oceanic cross is a lovely sentiment to share with close family and friends. An assortment of softly hued sea shells and naturally harvested white starfish are arranged on a base of integrifolia along with bamboo and a loop of raffia. Beyond the front door, it makes a lovely accent piece in dining rooms, bedrooms and sitting rooms. To remove, simply snip wires from the back of the box and lift the item gently. Our preserved designs are originally produced with extra elements so slight shedding during transit is normal. The colors will soften naturally over time. The designs are best maintained when displayed indoors, away from direct sunlight, strong heat sources, and extreme moisture. Please note: outdoor display is not recommended.